Whoever said “you can’t teach an old dog new tricks” must have had one very lazy, disobedient dog. After all, it’s also been said that “life begins at 40” – so why not give your career a new lease of life by retraining with us? Becoming an electrician at 40 years old may seem like a drastic change of pace but it can be a welcome transition for anyone looking to shake up their professional life or simply enhance their existing skillset. Why become an electrician at 40? 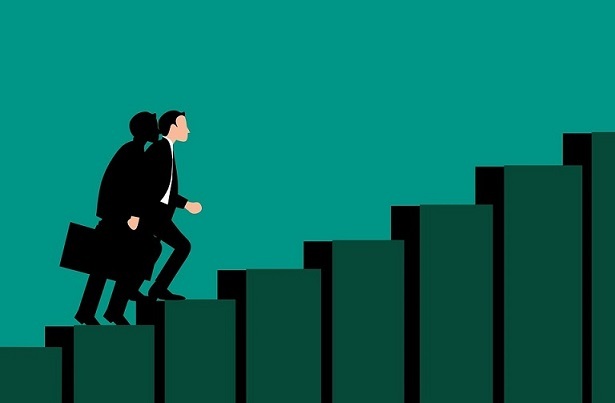 The number of 40+ workers seeking a new career path has seen a steady increase in recent years and trade work has emerged as a top choice for those brave enough to change course. But why? Until something drastic happens in the world of technology, most British’s homes are going to need a steady supply of gas and electric, making energy-related trades a viable path for anyone looking to shake up their work life. What’s more, the autonomy that comes with it could be a real breath of fresh air. Having an energy trade under your belt not only opens up doors to established umbrella brands like the “Big Six” – British Gas, EDF, E.ON, Npower, Scottish Power and SSE – it also creates clear and realistic avenues to self-employment, allowing you to work for yourself on your own terms. There can be a whole laundry list of reasons why a person may want to become an electrician at 40: from a voluntary career change to a catalytic reaction to redundancy. Whatever your reason may be, the path to a new horizon starts with a single step in the right direction. If you’re reading this blog – congratulations! That first step starts here – so kudos for being proactive… now what? Typically achieved on a full or part-time basis, training will provide you with the essential knowledge and expertise on how to do the job efficiently, safely and professionally. Like any job, first-hand work experience is a vital component in transferring theory into a practical, real-world environment. Once you’re equipped with the theoretical knowledge and practical experience, a final assessment will determine if you’re ready to make it in the wide world of the electrical trade. While the specifics of each course will vary depending on the chosen course – be it essential, professional, premier, etc. – these three steps provide a basic blueprint of what to expect when you enter a course. After you’ve completed each stage on this electrifying journey, you’ll reach your final destination as a fully-qualified electrician! While it may seem like a daunting task, becoming an electrician at 40 is far from impossible. In fact, it can be a hugely exciting journey for anyone brave enough to make the leap. Don’t let Father Time put you off either – you’re never too old to learn something new. What’ more, mature students can have the hot hand over their younger counterparts in a variety of ways. Mature students typically have a firm career path in mind when they re-enter education and a clear idea of where they want to go once qualified. Time away from the educational highways and by-ways can also provide career clarity and motivation to truly knuckle down. For mature students, the decision to retrain is a conscious one made individually, unlike many students who can be easily swayed and led astray by friends and family influence. This can also translate into a more focused approach to learning, making the temptation to miss a session or neglect course revision seem a lot less attractive. Additionally, life experience can be a real asset in the classroom, adding another dimension to the approach to learning. The self-discipline needed to succeed in a course of learning can be easily transferred from personal and professional life experience, while the same can be said for organisation and prioritising. From a professional standpoint, there are also further benefits to being 40+. As a general rule of employment, employers typically like mature graduates of any ilk as they come ready-made with many key attributes attached. These employer-friendly specs include two important things: experience and qualifications. While a younger newly-qualified electrician may have youthful exuberance on their side, they can also lack experience in the working world and can also at times still be relatively immature from a professional standpoint. What’s more, customers are also said to feel most comfortable with a tradesperson over 40. A consumer study by Watersafe showed that customers believed the most trusted age of a tradesperson to be 41. In fact, the most trusted age bracket was 36 to 49, achieving a whopping 50% of the overall vote. With retirement age creeping further and further out of reach with what seems like eternal regularity, staying put in a job you hate is as good as a life sentence. In fact, the feeling of Sunday night dread and Monday morning misery can be a prison in itself. A career change can be a real shot in the arm and not only revitalise your career but also change the way you live your life. As the old saying goes, “if you love your job, you’ll never work a day in your life”. Love your job and live your life with a career change that lights a spark inside you. What are you waiting for? Put the power back in your hands with an electrician course today! For more information on electrician courses, click the button below and explore a new career now. 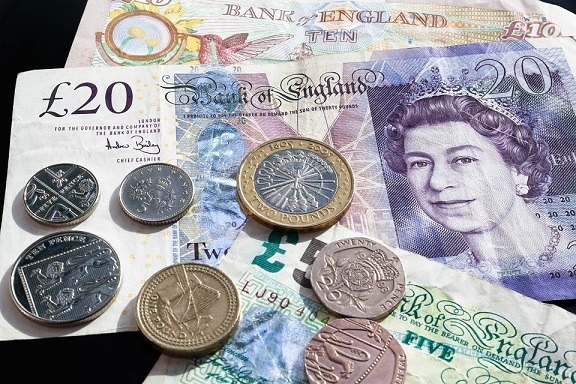 Unregistered Gas Fitter Faces Huge Fines! If you didn't already know the consequences of working as a gas engineer without being on the Gas Safe register, here is another stark reminder. Liverpool Magistrates recently fined a man, Kevin Shephard, for working on gas fittings and issuing Landlord Gas Safety Certificates, despite no longer being Gas Safe registered. Health and Safety Executive (HSE) carried out an investigation which showed that Mr Shephard was registered with the Gas Safe register over several periods between November 2013 and June 2016, but his registration lapsed in June 2016, along with his gas competence qualifications. Mr Shephard continued to carry out gas work and maintenance without renewing his registration or qualifications, so was, therefore, carrying out gas work illegally. Mr Shephard pled guilty to breaching several gas safety regulations, was fined £2000 and had to pay legal costs of £2000 also. "Kevin Shephard carried out gas work which he knew he wasn't properly registered to do. All gas work must be done by registered Gas Safe engineers to ensure the highest standards are met and to prevent injury and loss of life." How Do I Get Gas Safe Registered? Joining the Gas Safe Register will ensure you avoid illegal gas work penalties. To get on the gas safe register, you need to pass an ACS assessment - an assessment that can only be completed if you learn the necessary skills, theory, and procedures. If you'd like to become a fully-qualified gas plumber, Access Training Academies can help! We offer a selection of different gas courses that will teach you all the necessary skills to pass your ACS assessments. To work continuously as a gas engineer you will need to complete reassessments to stay on the Gas Safe Register. We can help you with your reassessments too! The term “DIY” can mean many different things to many different people, depending on the words that follow it. From DIY fancy dress to DIY wedding decorations, the universal initialism of “Do It Yourself” can be applied to pretty much anything and everything… provided you don’t mind getting stuck in. 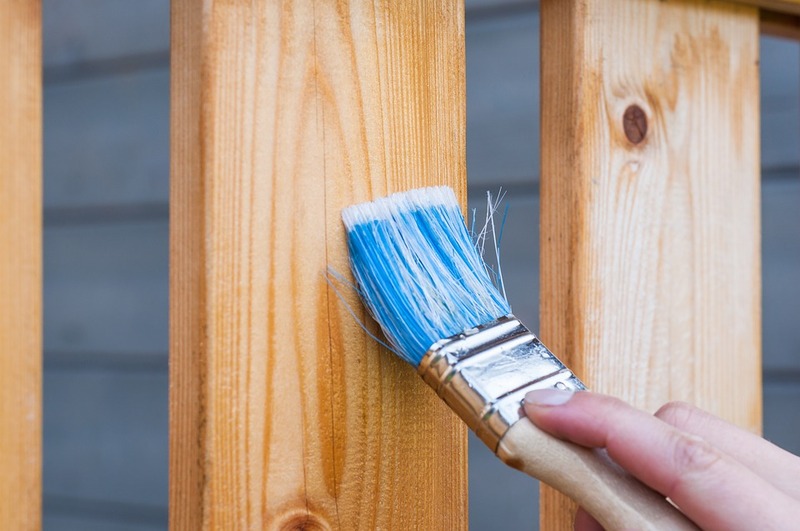 That being said, as a standalone term, DIY typically relates to handiwork around the house and can be a great way to save money on home improvement projects. 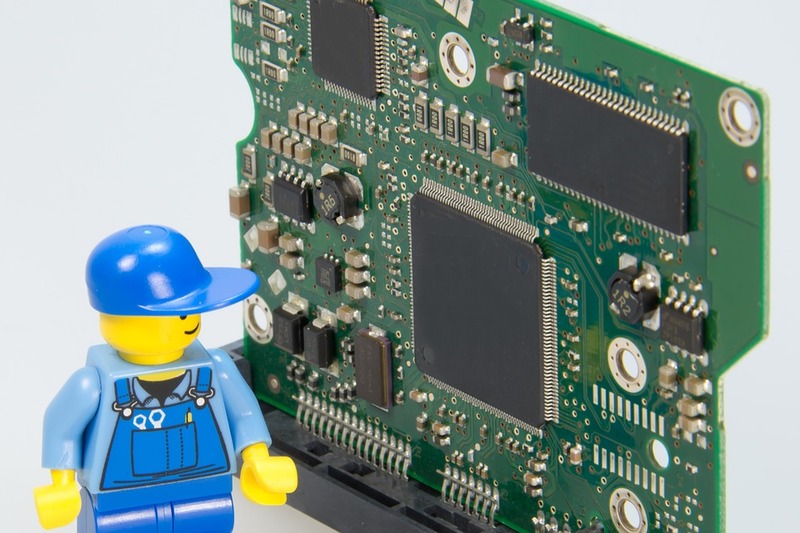 If you don’t mind getting your hands dirty, DIY could be for you! With that in mind let’s roll up our sleeves and get to work, as we peel off the lid on the essentials of DIY. When it comes to DIY in the home, the variety of tasks can be extremely vast and wide-ranging, including everything from re-wiring a plug to fixing a leaky tap. As such, a universal guide to all these tasks is non-existent; however, there are a few common themes that each job will share. To help get you started on your DIY quest, here are a few simple rules to follow when taking on a task that’s outside of your comfort zone. Before beginning any DIY task, it’s important to know what lies ahead. While ploughing through your dining room wall with a sledgehammer may seem like a great way to expand your living room (and relieve some stress), the consequences could leave you picking up the pieces for a long while afterwards. Doing your homework on a DIY task can help you adequately prepare, while also providing knowledge and knowhow on how to do the task properly. Luckily, Google can be your best friend in situations like this and step-by-step instructions can be found on a multitude of tasks in mere seconds. Meanwhile, to make things completely idiot-proof (in theory), YouTube is also loaded with hundreds of thousands of instructional videos, designed to help you expand your mind, broaden your horizons and reach the DIY promised land in one piece. They say a bad worker always blames his tools… so if you don’t have any tools, you’ll have no-one to blame if it all goes catastrophically pear-shaped! Joking aside, a well-stocked toolbox can be a useful addition to any home. Items like a hammer, spanner, pliers and a set of screwdrivers can come in handy surprisingly frequently, whether it’s to tighten a loose screw or knock in a protruding nail. You may also find that certain jobs require more than just your standard toolbox essentials. Electrical items and power tools like a circular saw or electric drill can also be useful to have, depending on the task at hand. While other tasks may require more specialist items – such as a tile cutter or a floor sander – it may be worth considering how much use you are likely to get out of a job-specific item. If it’s a one-off job that won’t require revisiting, it could be more cost-effective to rent rather than buy your tools outright. Specialist tools can be hired at a variety of outlets nationwide and could be a good way to keep your outgoings to a minimum. DIY can be a fantastic way to save some money on a small job or menial repair task. However, if you’re dealing with something that’s totally outside of your knowledge and expertise, with a range of complexities attached, it may be worth reassessing the situation and, more importantly, your capabilities of completing the task successfully. There’s no shame in admitting you’re out of your depth and knowing when you don’t know can be the difference between a job well done and job that needs redoing. What’s more, blindly sailing into the DIY abyss without a clear view of where you going can be extremely dangerous, particularly if you dealing with elements like gas and electricity. Following on from our last point, safety should always be top of the list when it comes to DIY. In fact, it should be the title of the list, written in bold and underlined… twice! DIY in the home can involve a multitude of dangers, particularly if you’re new to home improvements. Even a simple task like hammering a nail can quite easily lead to a broken finger, so caution should be exercised at all times. Sensible risk assessment is also hugely important. If you’re painting the ceiling while teetering out-stretched on a rickety ladder, all while your cat sleeps underneath on the glass coffee table, chances are you may want to reconsider your approach. Whenever you’re attempting DIY, you should also bear in mind the clothes you wear too. This doesn’t just extend to overalls and old threads that you don’t mind getting ripped, dirty or ruined – it also extends to safety gear. Protective gloves can come in handy if you’re dealing with sharp objects that fragment – like glass, bricks and tiles – while safety goggles can quite literally save your vision if a rogue shard or shaving goes airborne. When it comes to real DIY expertise, there’s no substitute for professional knowledge. If you want to expand your home improvement knowhow, why not consider a course with Access Training? Our vocational courses can help you achieve first-hand knowledge in a wide variety of skills – including electrical, gas and plumbing courses – making even the most daunting of DIY duties a doddle. It's widely known that gas engineers in the UK are legally required to join the Gas Safe Register before working on gas appliances. But do you know what the punishment is for carrying out gas work when you're not Gas Safe registered? A Mr Stevens of Milton Keynes recently found out. 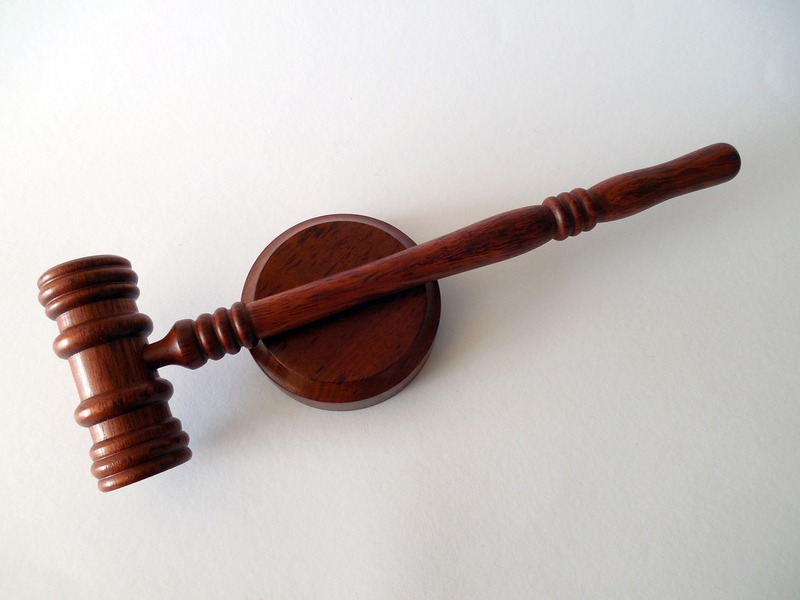 The director of Master Plumbing Contractors Limited recently appeared before Aylesbury Crown Court, where he was sentenced to 300 hours of community service and ordered to pay costs of £15,000. ...but an investigation by the Health & Safety Executive (HSE) found that, despite all appearances, Mr Stevens actually was not on the Gas Safe Register at the time the work was carried out. Following the outcome of this hearing, HSE inspector Andrew McGill issued a statement warning "rogue gas fitters" that gas work is "difficult, specialised and potentially very dangerous", and that it should only be undertaken by "trained and competent engineers who are registered with Gas Safe". How do you get on the Gas Safe Register? In order to join the Gas Safe Register and avoid the penalties for illegal gas work, you will first need to pass your ACS assessment - and you won't be able to do that until you've learned the essential skills, theory and safety procedures that every professional gas engineer must know. If you're thinking of joining the trade and making a living from gas work, we offer a selection of comprehensive gas courses here at Access Training Academies. You'll learn in a fully-equipped training centre under the supervision of an experienced gas engineer, and we'll help you to progress smoothly and quickly from learning the basics to preparing for your ACS assessment. We can also help with the reassessments that you'll have to complete every few years in order to stay on the Gas Safe Register. If you're looking for a rewarding new career, then you may want to think about becoming an electrician. Gaining your electrical qualifications and starting down this path can be challenging, but the rewards are well worth it. In addition to the above perks, electricians also enjoy a more active working day, making their way from one job to the next and engaging in practical, hands-on labour instead of sitting at a desk all week. All of these are great reasons to become an electrician - but how exactly do you do it? Well, as with any trade, there are a number of industry-recognised qualifications associated with electrical work, and you'll obviously need to get qualified before you can start work; after all, electricity is very dangerous if you don't know what you're doing, and it's illegal for untrained personnel to operate on live electrical installations. These qualifications each cover different skills/aspects of being an electrician, so you may find it worthwhile to complete a package course (e.g. our own Professional Electrical Course, which includes a number of Level 3 electrical qualifications) in order to give the best possible foundation for a varied, lucrative career. Simply click below to learn more! A lot of budding electricians get qualified over a number of years via an apprenticeship or NVQ diploma course, with a Level 3 qualification awarded upon completion. Other people obtain Level 1 and/or Level 2 qualifications before seeking trainee positions. These aren't the only options, however. 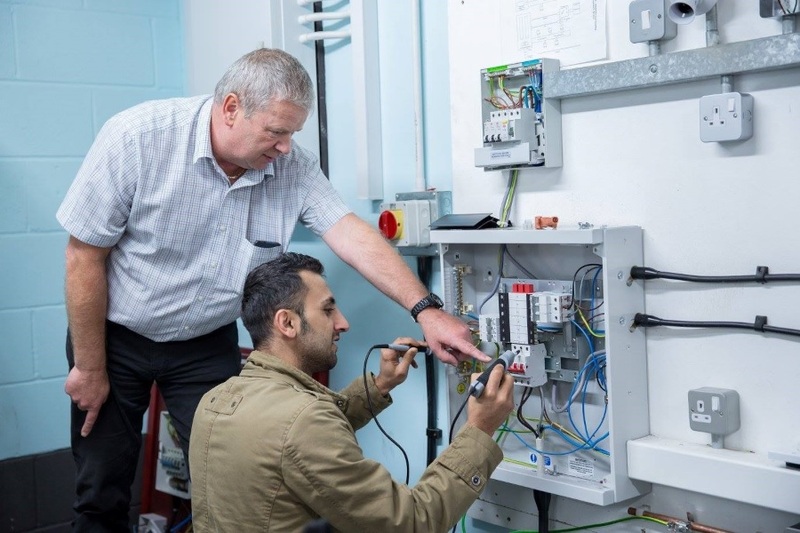 Fast-track electrical courses - which allow candidates to achieve Level 3 qualifications within a very short time frame - have become increasingly popular in recent years. This is an option you may wish to consider if you're looking to start your new career as an electrician ASAP. 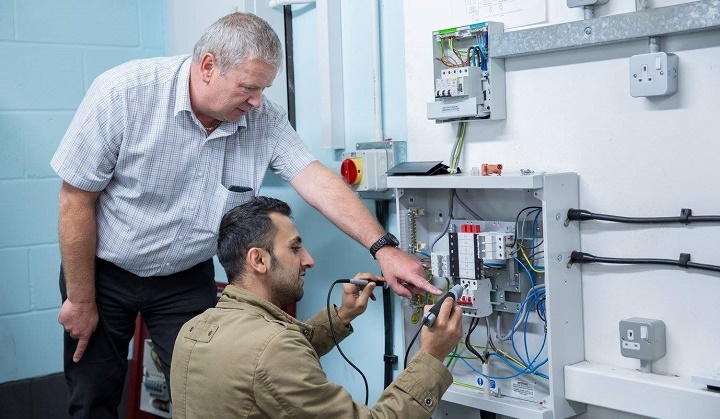 Fast-track courses vary in duration, but dedicated students can complete their training and become qualified electricians in a matter of months. What happens once you're qualified? Once you have completed your electrical training and earned the necessary qualification(s), you can seek employment with a firm, or you can start your own business and be your own boss. 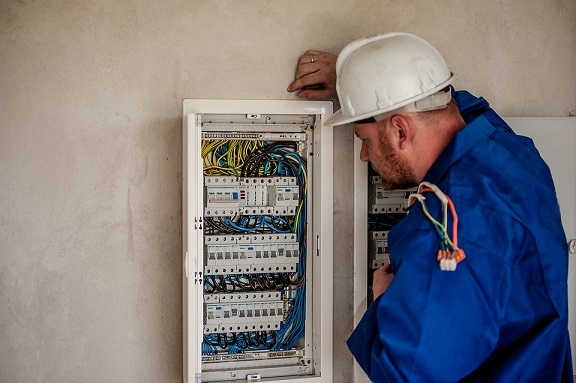 Many newly-qualified electricians choose the latter option, and it's not hard to see why: self-employed electricians can work as few or as many hours as they please, and their earnings aren't limited to their contracted salary. However, if you would prefer to be employed by someone else, that's a great choice too, and with electricians extremely in-demand at the moment, you should have no trouble finding a job. If you'd like to become an electrician and train with Access Training, simply click below to browse our range of Electrical Courses and apply today to start your new career and life! Is it possible to become a plumber while working? Yes, it is - with part-time and intensive plumbing courses from Access Training. Our accredited training programmes allow you to learn around your current commitments, whether that means work, family, or other obligations. Quitting your job and diving headlong into a totally new career is terrifying, and not necessarily a very smart move. If, for instance, you want to leave your desk job behind and become a professional plumber, you'll have to do quite a bit of training before you can actually start earning money. So if you hand in your notice before you've even enrolled on a training course, there'll be a significant gap in your income between the end of your old career and the start of your new one. But what if, instead of quitting your job in order to train as a plumber, you could complete your training while still working your current job? Suddenly, figuring out how to be a plumber doesn't seem like such a daunting task that requires you make lots of sacrifices! The 'traditional' route to becoming a qualified plumber is to undertake a college course/apprenticeship and learn over a number of years. Our courses take dramatically less time to complete, meaning that you can enrol in a course, learn your new trade, and get qualified before you take the plunge and tell your office that you're leaving for pastures new. If you're interested in enrolling on to an Access Training plumbing course and training while you work, please contact us now for more information. Making all aspects of your life more sustainable is very popular at the moment. Saying no to plastic carrier bags and buying a bamboo toothbrush are all popular options, but have you considered how you can make your home more energy efficient? We have lots of expertise in the gas, plumbing and electrical industries, so we thought we would put together some tips to help you make your home a greener place! A simple yet effective tip that you don’t need plumbing or gas engineering training for, is to simply set a property’s heating using a timing mechanism. Whether you set it to come on an hour in the morning and an hour in the night at a residential property, or between 9 am and 5 pm for a commercial one like an office, this will ensure the heating is only on when it needs to be on. This is an easy way to ensure energy is not wasted when a property is empty, which will not only help the planet but save the bill payer some pennies too. Energy-efficient light bulbs come in two types: Compact fluorescent lamps (CFLs) and light-emitting diodes (LEDs). According to the Energy Saving Trust, replacing a regular light bulb with a CFL will save around £5 a year or up to £70 over the lifetime of the bulb. LEDs usually come in spotlights and therefore traditional fittings may need changing to use these. This can be both cost and energy efficient in the long run though as switching from halogen lights to LED could save around £35 a year. On average, heating accounts for 60% of annual energy bills, so becoming more efficient could save a homeowner hundreds of pounds a quarter. Most modern boilers are condensing, meaning it has a larger heat exchanger and recovers more heat. Gas boilers are most likely to be affordable if the property has mains gas and a combi boiler will be more compact, meaning it will take up less space in the property. If the cash funds for a new boiler aren’t available, it may be worth insulating the boiler as a temporary fix. You can read more about this in our blog post: Should You Wrap Up Your Water Heater This Winter? Talking of insulation, how well insulated in the property? There’s no point in fitting an energy-efficient heating system if there is considerable heat loss, and this could be highly likely if you have an older property. Around 25% of heat loss is through the roof, 35% through walls and 10% through windows, so having a property properly insulated could cut this drastically. This may also alter a property’s EPC rating which can increase the value of the property. Want to be able to offer some of the above services, but not qualified to do so? Then why not sign up to conduct further training? Browse our different courses by clicking the button below, or give us a call on 0800 345 7492 to enquire today! So, you’ve picked your career direction and you know you need to undertake a gas engineer course in order to become Gas Safe registered. But do you really know what being registered means, or how to apply? Here we cover how to become gas safe registered. The Gas Safe Register is a well-regarded, nationwide scheme that instils confidence that those registered are both competent and safe to complete such jobs. How Much Does It Cost to Become Gas Safe Registered? The basic application fee for one engineer is currently set at £362. There is an additional charge for renewals, replacement of lost ID cards or to make updates to a card. These vary from £2 to £172 depending on the service required. You will also be asked to provide your national insurance number, contact details and you’ll be required to pay a fee. When you apply to be registered for the first time, a probationary status will be provided. This three-month probationary period means you are registered, but for this time you must keep a record of all work and notify the Gas Safe Register of all completed work. This is put in place in order for applicants to demonstrate their competence. How Can Access Training Help? Here at Access Training, we offer a number of gas engineer training programmes that vary depending on both your skills and needs. Our Essential Gas Engineer Course teaches the fundamental of safe and efficient gas work, which is ideal for absolute beginners. Our Professional Gas Engineer Course is more advanced. Anyone can enrol in this course and this is the ideal option for anyone wanting to change careers. This course provides a comprehensive set of skills and helps learners to grasp the relevant theory. The outcome of the course is ACS certification, which allows finishers to apply to the Gas Safe Register and become gas safe registered. The Premier Gas Engineer Course is our most detailed option, providing students with training in both gas and electrical work. Successful students will receive three qualifications: an ACS gas certificate. Part P and 17th edition. They will also be able to apply to the Gas Safe Register. For everything you need-to-know about how to become gas safe registered or our gas engineers courses click below! Are you feeling a bit tired of your current job? Have you been doing the same thing for so long that it's become boring and monotonous? Are you looking for a new challenge that will give you a chance to really shine? If any of the above apply to you, it may be time to start looking for new career ideas. When you first decide that you'd like to change jobs, it can be a bit daunting - after all, there are lots of different career ideas to choose from - and so we're here today to provide you with some inspiration. The perfect role for adventurous electricians! Marine electricians are responsible for installing and maintaining electrical equipment aboard ships and other sea vessels. They may also be tasked with handling emergency repairs on ships in port or out at sea. The bathroom is one of the most important parts of any home, so the people who install them are always in demand. Your responsibilities as a bathroom fitter will include making sure that all of the fittings are correct and that the new bathroom looks perfect. You can train to be a bathroom fitter with our Bathroom Fitting Course. Electrical machine repairers play an important part in the repair and maintenance of electrical equipment. This job is incredibly important and can mean the difference between a machine running smoothly and catching fire due to an electrical fault. To help you train for this type of job, why not take a look at our range of Electrical Courses? If you like the idea of working outside then roofing plumber could be the ideal role for you. Roofing plumbers fabricate and install metal roofing, gutters, and downpipes. A roofer can work for the council or as their own boss. Though this may seem like a lonely, solitary job, oil rig electricians are paid exceptionally well for their work. This is an exciting job for truly daring souls - any industrial electrician can work on a rig, so if you're not put off by the long hours, this may be a career path for you. Here at Access Training Academies, we provide a range of trade training packages that can set you on your way towards a new career path. Even if none of these career ideas inspires you, we have lots of different courses that will allow you to pursue a new career idea anywhere in the UK!